As you all know, the little family that has lived below us is moving. This is a difficult goodbye, especially for Cassandra. She has gotten to know and meet so many Felician Sisters these past months. She still misses her French classes with Sister Angela. Cassandra has quickly learned how to say “Sister Giovanni” very well. Last night, when we were preparing to leave for these two weeks, Cassandra was with us, helping to clean out the refrigerator. You can imagine how many goodies she was receiving, so she began to sing “Ap di bon fet pou ou.” That is “happy birthday to you.” However, most of the time we see sadness in her face as we get ready to say goodbye, and she moves to her new home. 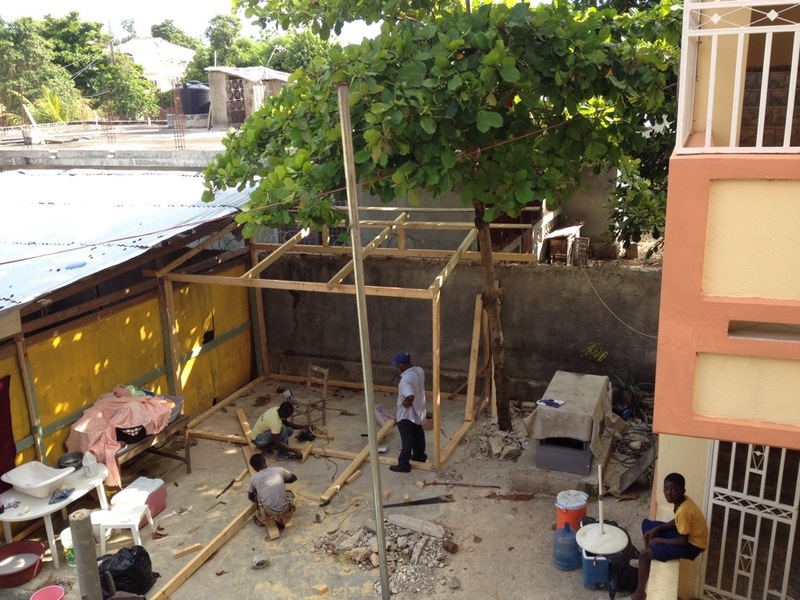 Outside our home, we started to build a new Haitian kitchen. Lelun, who used to cook for our children, is unable to do so any longer since she is moving to her new home. One of the mothers of our kids has agreed to cook for our food program. 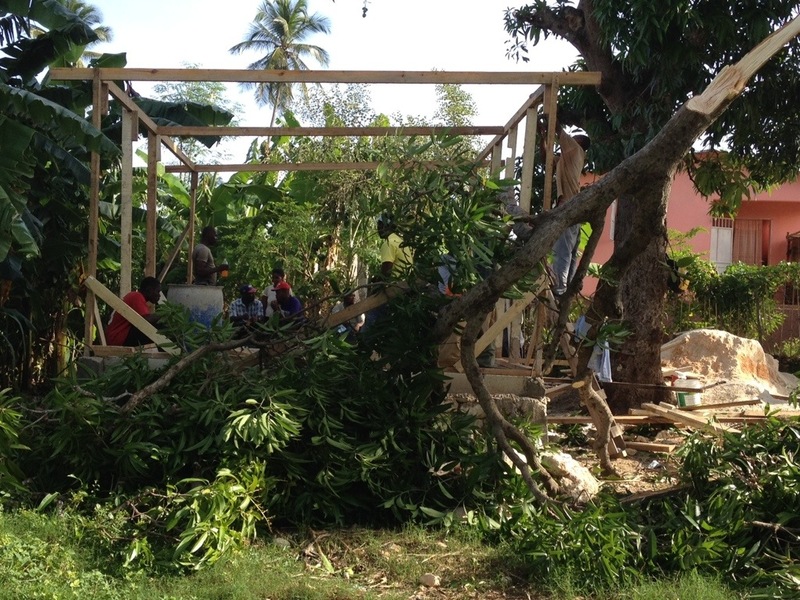 Lately, we feel as though all we are doing is purchasing materials for building and preparing spaces, such as Lebrun’s and Lelun’s new home, the mobile clinic rooms, and now our Haitian kitchen. We know that this type of work is not all we are called to do; we know that it is to bring people together in relationship and to build community so the love of Jesus can touch many more lives as we walk in the footprints of Jesus. 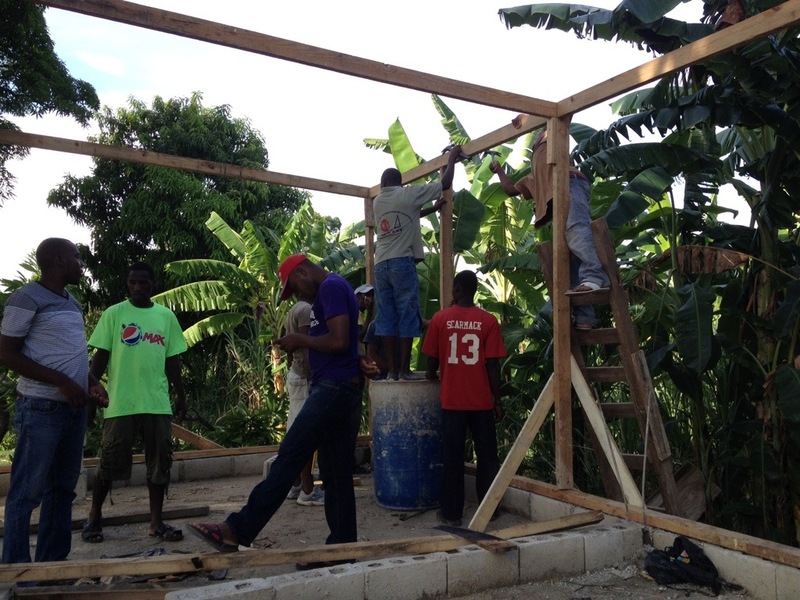 We can’t wait until the day when our chapel will be a place for faith formation and catechesis for the people of Jacmel. 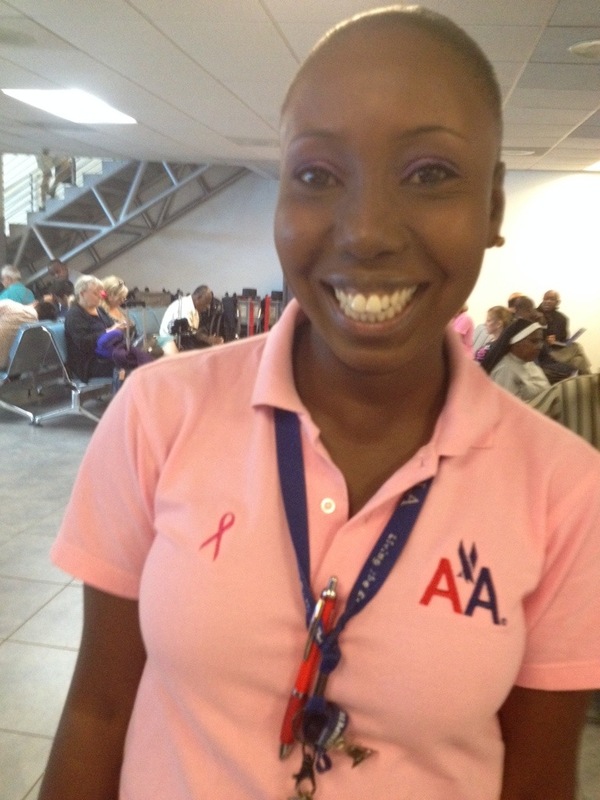 It is good to know that Haiti joins the rest of the world, putting much effort into breast cancer awareness. 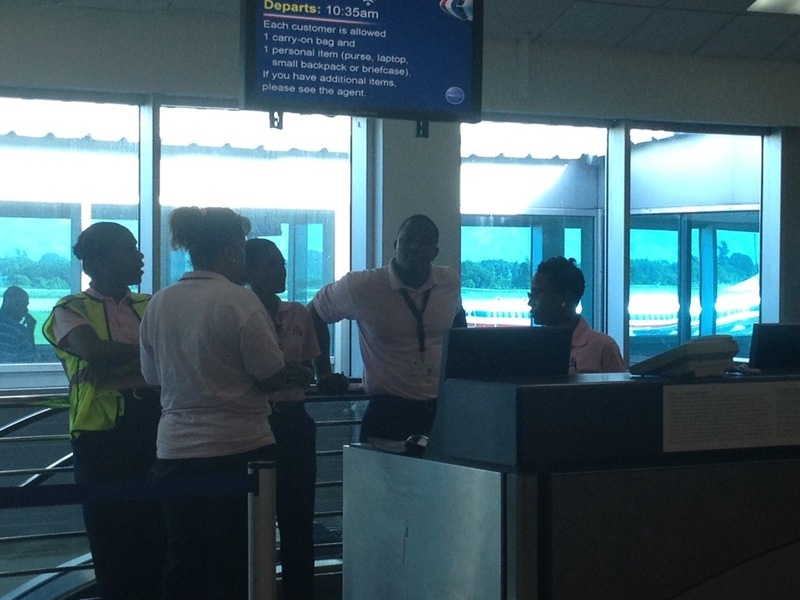 Today at the airport, on our way to the States, we witnessed the efforts being made for this awareness. 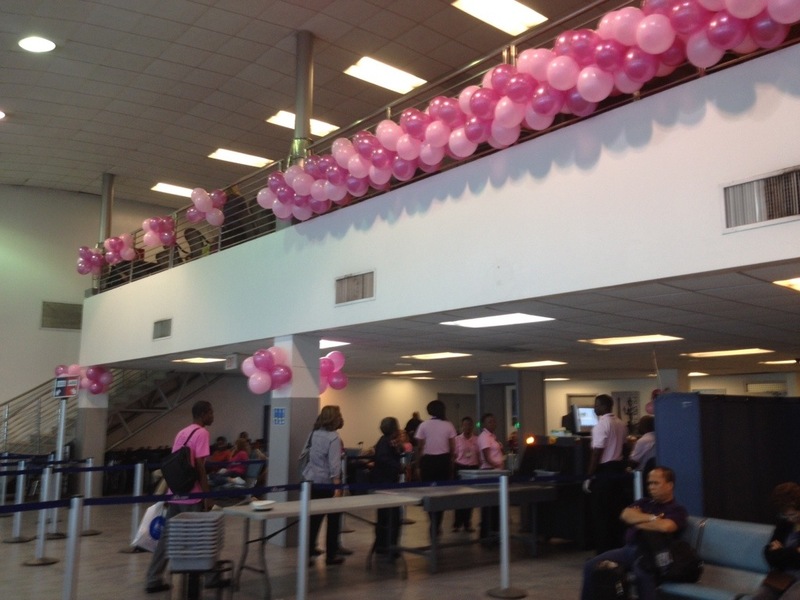 The airport was decorated in pink, and so were the American Airline workers. 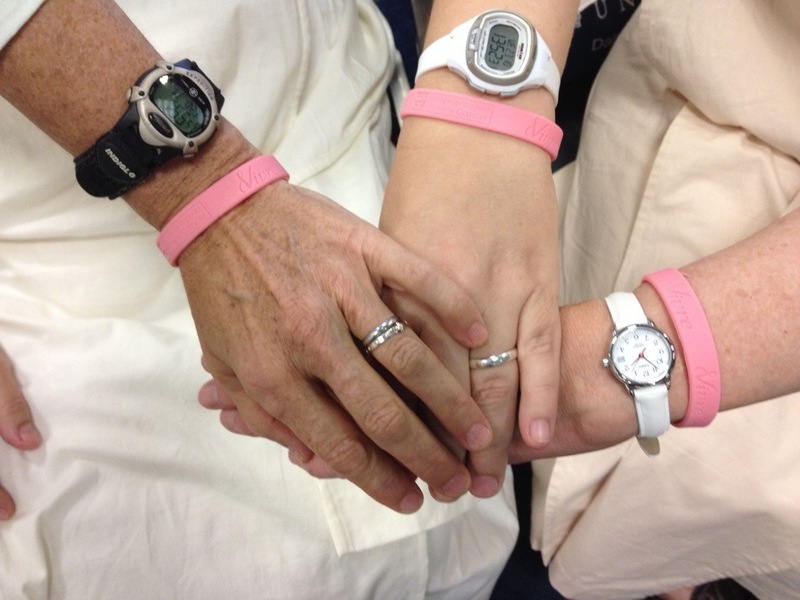 We supported them in their efforts by purchasing pink wrist bands. We all know someone that has been affected by this disease, whether they are suffering now or may have died. Let us continue to pray and fight for a cure for breast cancer. Lebrun’s situation truly shows that the Lord is building his house. Lebrun did not have land, money, nor materials to have a home for his family; but the Lord made this possible through the help of friends and generous benefactors. 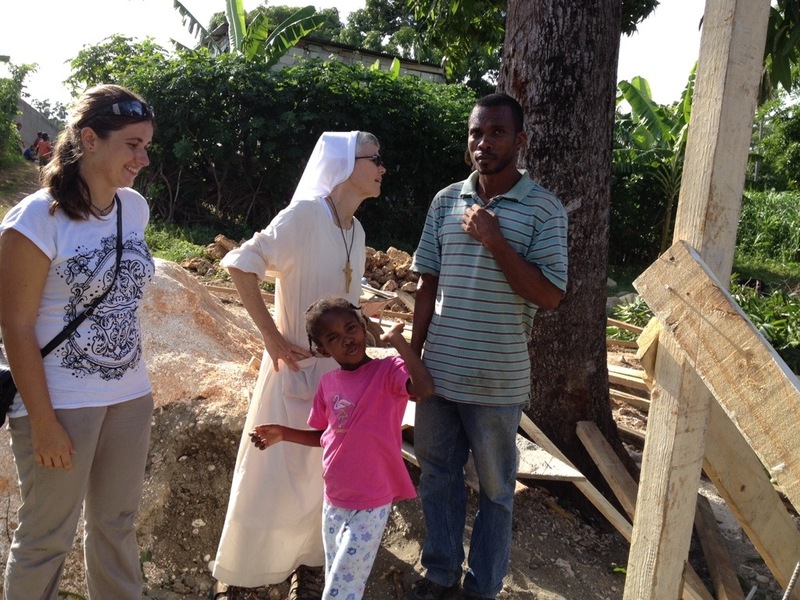 Today we met Karolina, the engineer from Krakow, Poland, who was hired by the Polska Haiti Foundation that is building a school for the Diocese of Jacmel. 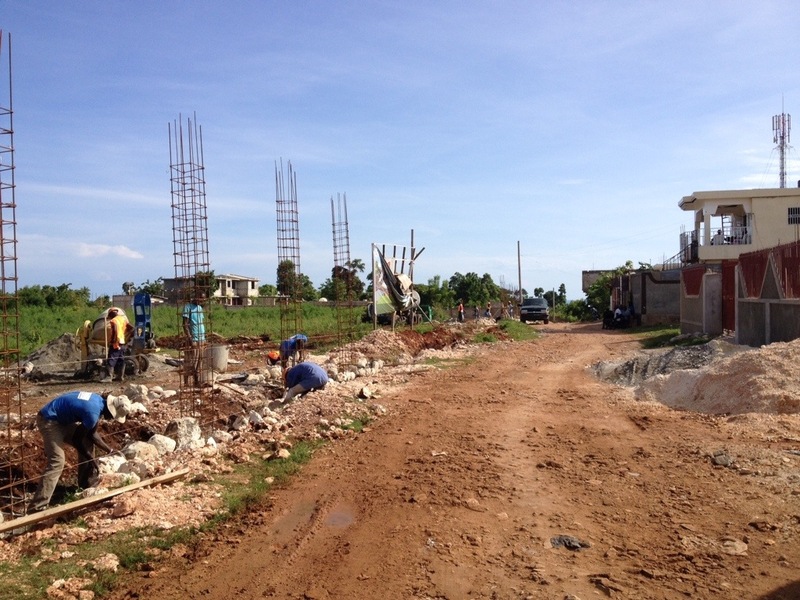 The new school is being funded by Charitas in Poland. We invited Karolina for dinner and served gołabki (stuffed cabbage) and cole slaw. We tried to give a touch of Poland, but we added fried banana for a touch of Haiti. 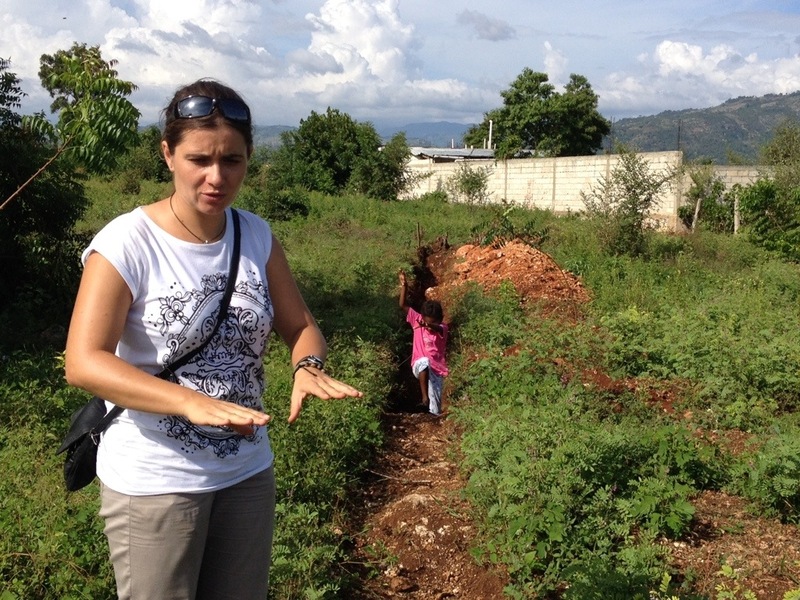 After dinner, we went with Karolina to the land where the school is being built and where our new convent will be. 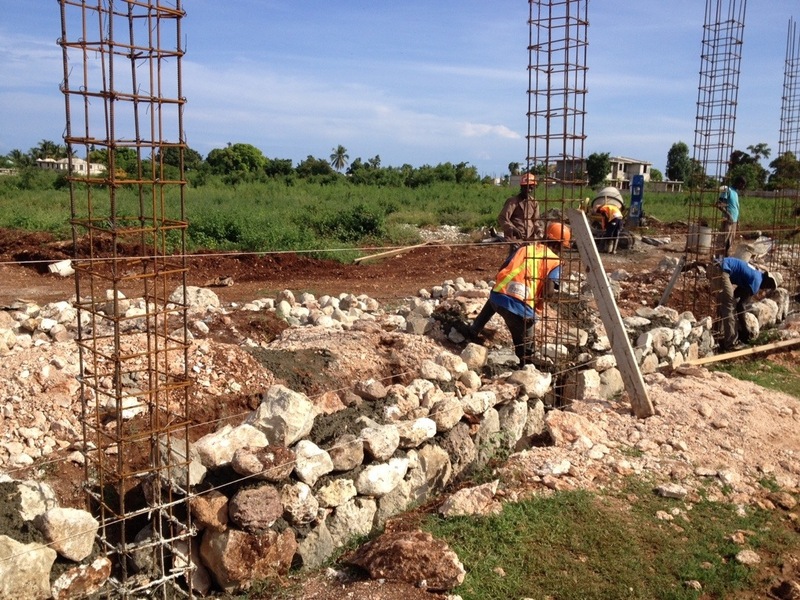 We also saw the progress being made in building the new Cathedral, which starts with building the wall around the property. Today, Sunday, they were working on the Cathedral. 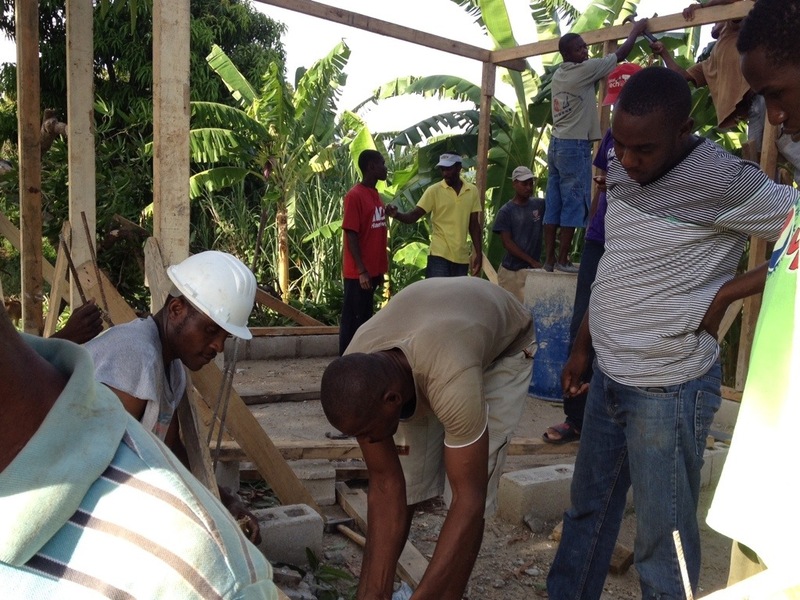 We asked Karolina to take a look at Lebrun’s and Lelan’s new home that is being built on their newly-bought property. 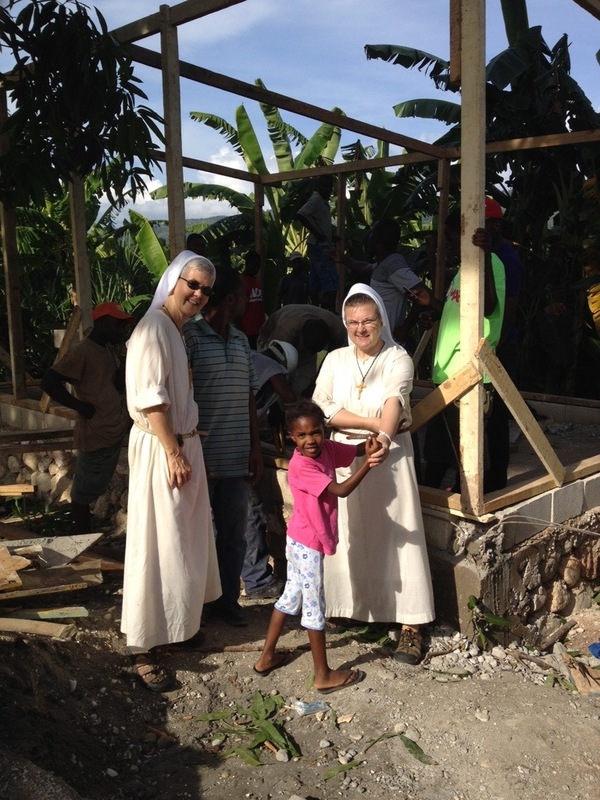 She gave them some good advice about the structure and, especially, about the placement of their roof. 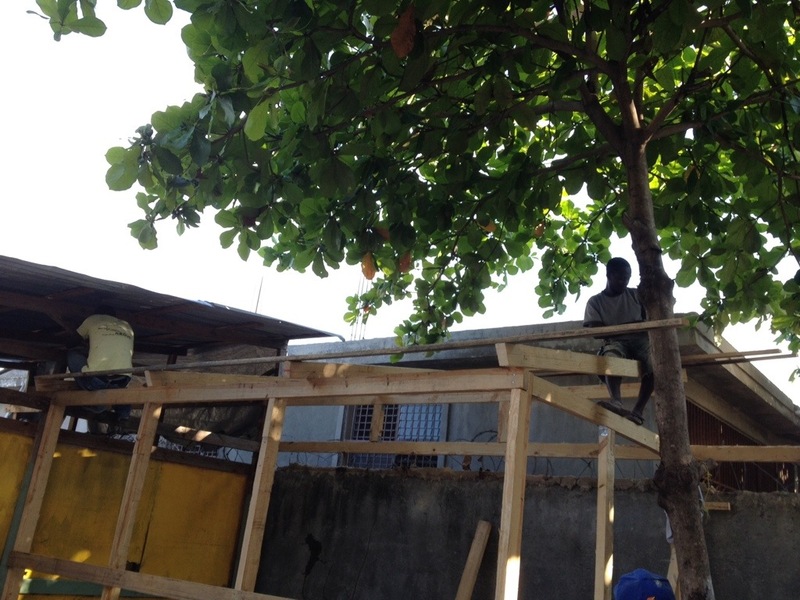 Today we returned from Port au Prince, bringing with us an electrician who was going to check our electricity and its capacity. We arrived in Jacmel at 4 p.m. and we still had no electricity. This meant the electrician was not able to do his work, but he was able to see what we could do to solve the problem of not having electricity. We are researching the possibility of getting an inverter and batteries. 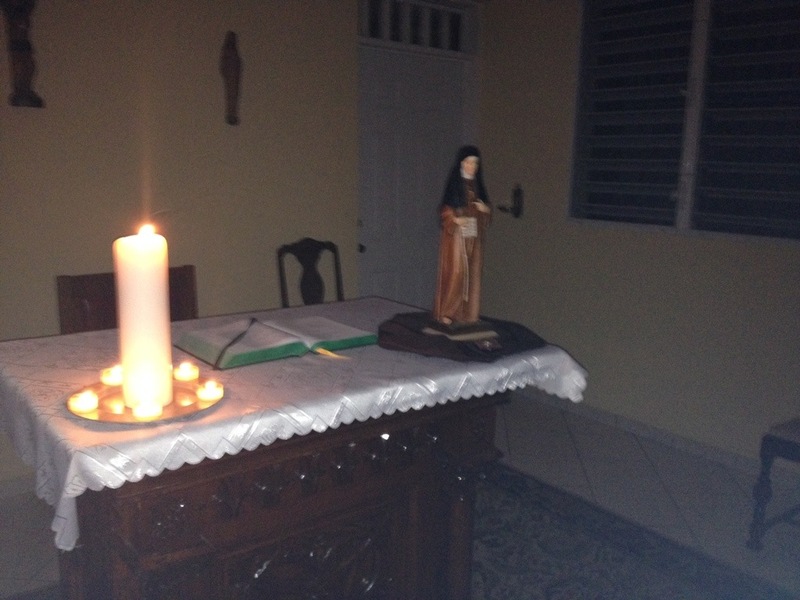 As evening approached, we got ready to celebrate the Transitus of our foundress, Blessed Mary Angela. It was appropriate that we were in the dark since the service was centered around Angela being a light in the world. 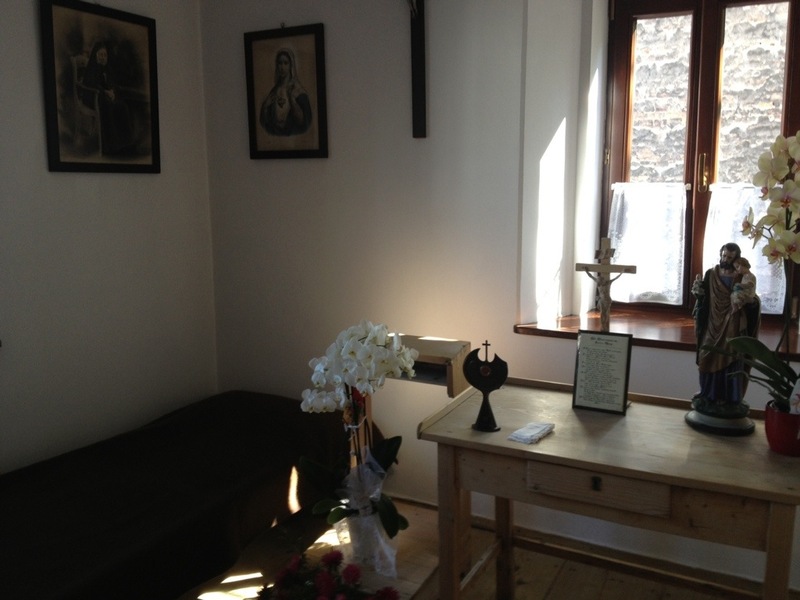 One large candle symbolized Mother Angela, and the small candles symbolized Felician Sisters throughout the world. We are happy that one of those candles was for Haiti, and soon another will be for Tanzania. Let its spirit penetrate you deeply. Love the Will of God so as to be engulfed by it. as He points out to you. 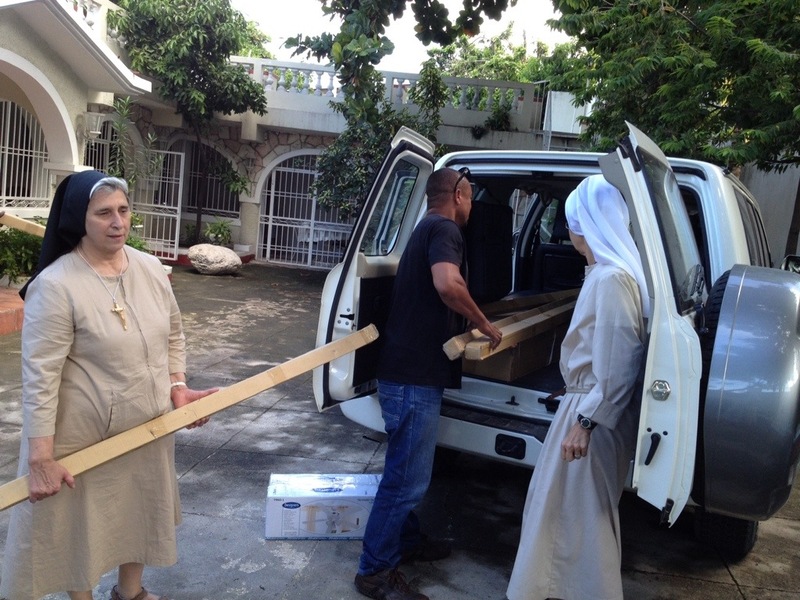 On Monday, October 7, Sr. Giovanni arrived in Haiti. She will spend two weeks with us, preparing for the mobile clinic. 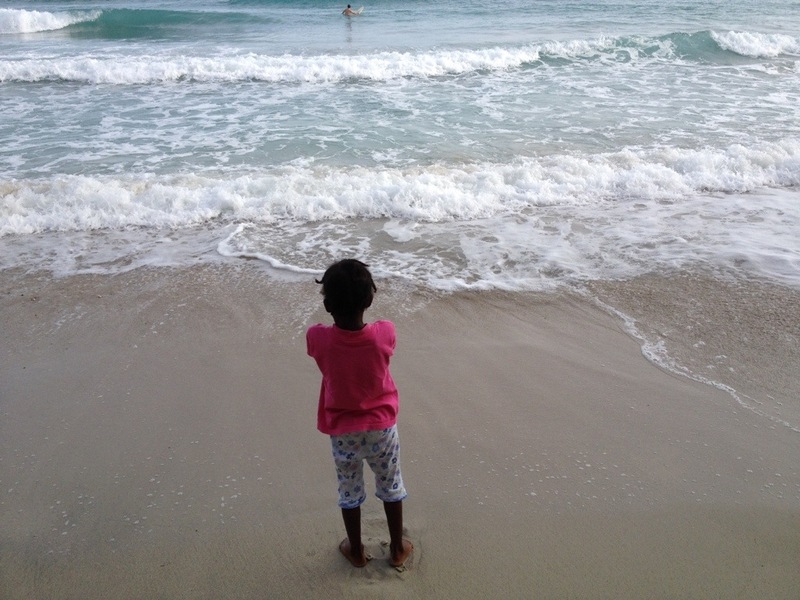 On Tuesday and Wednesday, we stayed in Port au Prince, purchasing needed items for the clinic and visiting the places where we would be purchasing medications. We are grateful to our friend, Yvon, for his hospitality and help.